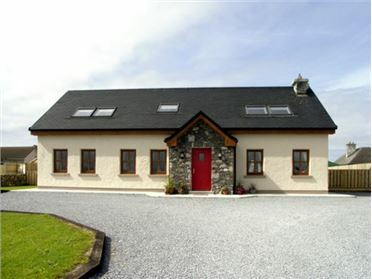 Situated in an isolated position, 7.5 miles from Glenties town in County Donegal is this all ground floor cottage. 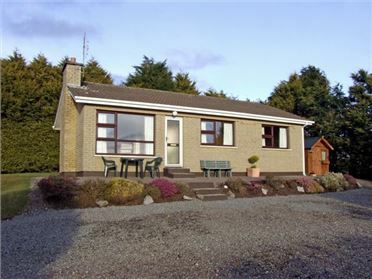 This cottage sleeps five people and has two bedrooms consisting of one double with woodburning stove and one twin with additional single sofa bed, as well as a family shower room. The rest of the cottage is made up of a fitted kitchen with dining area and a sitting room with a woodburning stove. 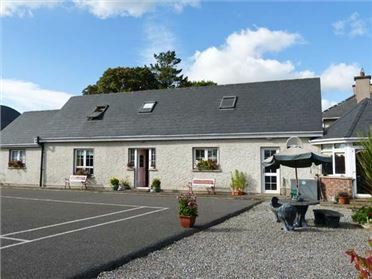 Outside, this cottage has off road parking for 2 cars and a rear lawned garden. If you want to get away from the hectic everyday life, then this cottage is for you. All ground floor. 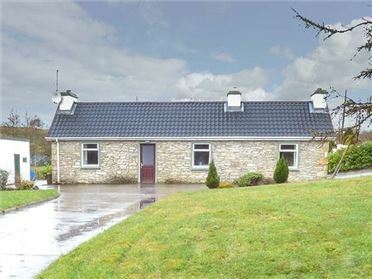 Two bedrooms: 1 x double with woodburning stove, 1 x twin with additional single sofa bed. Shower room with shower, basin and WC. Fitted kitchen with dining area. Utility. Sitting room with woodburning stove. Solid fuel central heating with woodburning stoves in double bedroom and sitting room plus solar panels for hot water. Electric oven, gas hob, microwave, fridge, freezer, washer/dryer, TV with Freeview, selection of books and games. Electricity, solid fuel and wood for woodburning stoves inc. in rent. Bed linen and towels inc. in rent. Cot and highchair. Off road parking for 2 cars. Bike storage. Rear lawned garden. Two well-behaved dogs welcome. Sorry, no smoking. Shop and pub 8 miles. Note: The road from the R262 to the property is not suitable for low vehicles, i.e. sports cars. Note: This property is in the middle of the owner's sheep grazing field, so pets must be kept under control at all times.